This thread is inspired by a thread on CGN. What gun was your first deer harvested with? What was your latest deer shot with? My first was taken with my Grandfathers 1954 Winchester 30/30 in 1998, just 2 months before he passed away. His house was my first stop on the way home, he even helped skin it. 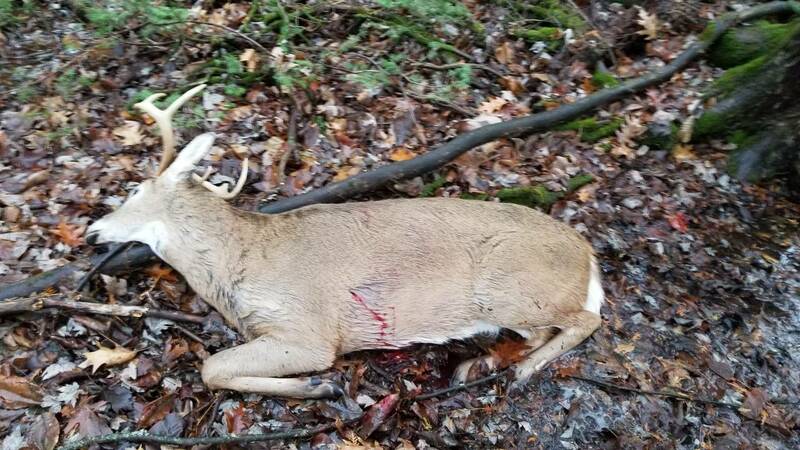 My latest was this past fall, a little spike buck fell to my Gunsite Scout in .308. My first was with an Excalibur 335 micro and my last was taken this past fall with a Sako Bavarian Carbine in 270 win. First Deer was shot with Remington 742 in .308 shooting blue box Federal. Last Deer was shot with Sako A7 in .30-06 shooting Federal Barnes Tripple Shok. Crisbow Cheetah got my first, a small doe. My last was last year with a 1915 Lee Enfield Sporter in 303 British in the wet snow, brought the beater out rather than the nice guns. First deer was with a Winchester Model 1907 in .351 Winchester. My last was with my 1957 Marlin 336A DL in .30-30 Ackley Improved. Except for two deer with a Ruger Hawkeye in .257 Roberts, all my deer were taken with my old Browning A-Bolt in .280 Remington. First deer many years ago [1960 ] was with a model 70 Win. in .243 cal, the last was with a Savage Smokeless M.L. IN .50 in 2017 , with many others between in .32 Win Spcl. A.I. in a Win. model 94 , 7mm mag. cust. built, and my Kit built .54 cal Hawken type. Last edited by jaycee; February 10th, 2019 at 12:30 PM. First in 1984 with a 1980 .444 marlin. 265 grain Remington. Last same rifle, same load. And no, it's not the same deer - there were more than a few in between.